Looking for a new RPG to play on your Mac, especially after seeing the new MacBook Air announced today? You'll be able to pick up an awesome one starting in Q1 2019. 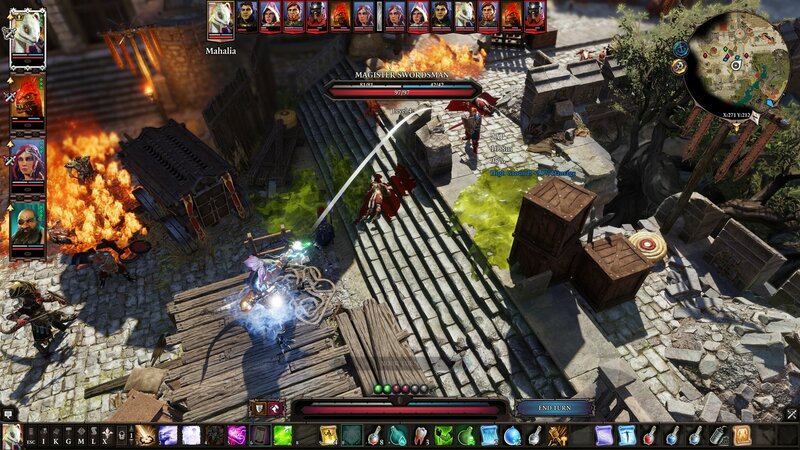 Divinity: Original Sin 2 - Definitive Edition is coming to Mac next year, as a part of a partnership between the Saint Petersburg-based company Elverils and the Apple Metal Engineering Team. It will include all the content from the original PC version, but it won't be compromising on content or graphical performance to do so. In fact, it'll even come packing new features, like MacBook TouchBar support so players can easily access their map or journal by tapping the bar. It will also support HDR on certain devices as well as iCloud so you can save and back up your save files across devices. If you're into gaming with controllers, you'll also be able to use Apple MFI controllers with full vibration support, so you'll be able to fully interact with the world around you without being limited to certain control inputs. Check out the game when it finally lands in Q1 2019, though you can play it on PC right now if you can't stand the suspense.